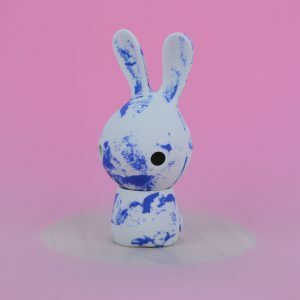 This Cuniculus was made by casting two different colours in the mould at the same time. In the mould the colours meet and mixes. Where and how we can’t control. 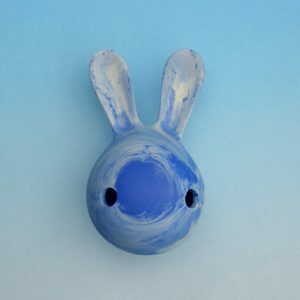 therefor all bunnies made with this technique are different. 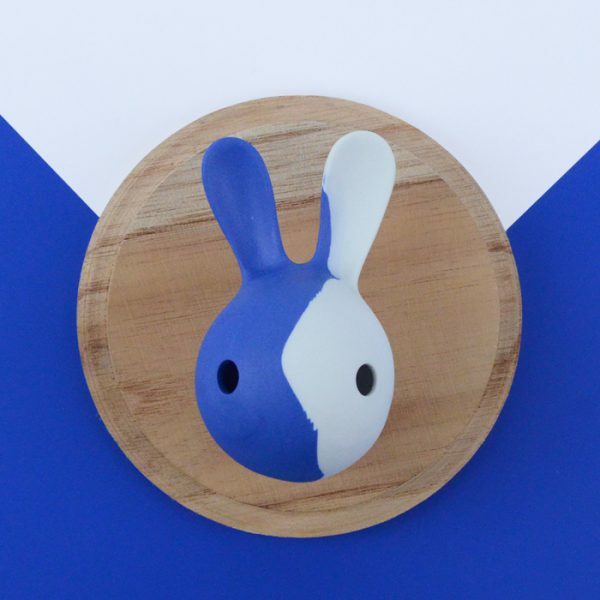 The cuniculus is made out of white and blue coloured unglazed porcelain which gives it a nice matt finish.